Today I am joining again with other bloggers writing on the matters of public schools and public education to talk about a controversial topic of testing. 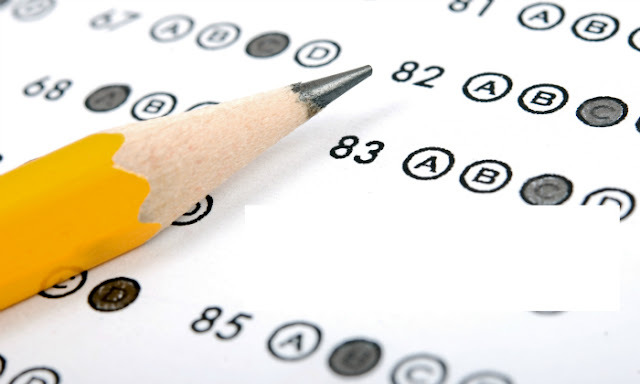 What can we, as parents, do to make tests less stressful for our kids? Before I started writing this post, I asked my 9 year old what she thinks about tests. Basically, I wanted to see if her opinion changed from the previous year when she was eagerly looking forward to test time as time of special perks and fun activities in school to help kids relax before and after school. Nope, her opinion on tests remains highly positive. She thinks that tests are fun, because they add an element of hardness to something that is normally boring and because we get to use the computers. It also gives me a chance to really show the teachers that I know this material. I don't expect every child to love tests. My daughter is both academically strong student and a confident test-taker who is not prone to over thinking her answers and second guessing on tests. This combination is rare, but I think we, as parents, can do a lot to help all our kids to see tests not as an anxiety-producing event but as a normal and even fun part of educational process. about tests. This anxiety is continuously kept high by various Internet memes, examples of ridiculous quiz questions and equally ridiculous answers, and calls to opt out of standardized tests to protest the culture of high stakes testing. But who or what is it that is making a normal end-of-year test "high stakes"? Isn't it our own anxiety about the score that our child is going to get and the score their school is going to get? I understand and feel compassion about the anxiety of teachers, because taken on average the results of tests and score progression over years should show increased competency of their students and therefore their own competency as teachers. But the score on the test of our children does not reflect our competency as parents. I know that it's easy for me to say so when my daughter brings home perfect or neatly perfect scores every time she takes a test. But even if she did not, my love for her would not have been any less. 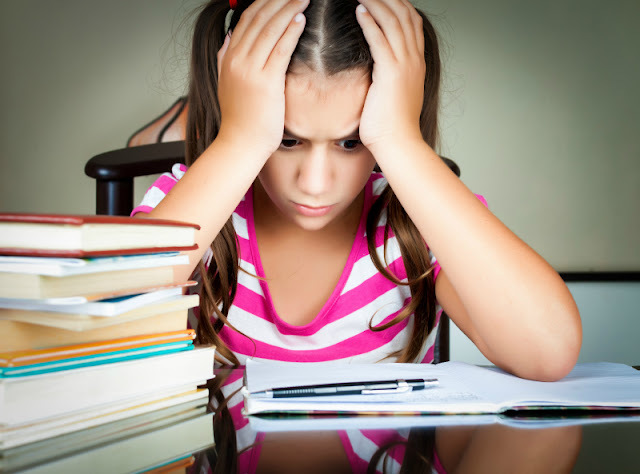 Standardized tests measure academic competency, but there is so much more in life than grades, and we need to help our children to focus on their strengths while also learning to mitigate areas of their weaknesses and becoming better test takers. Sometimes, the most brilliant and intelligent minds do not shine in standardized tests because they do not have standardized minds. I do NOT like this meme for two reasons. One - it sort of implies that people who are successful test takers have standardized minds and not as intelligent. Second, I consider it a poor excuse for not looking deeper into the reasons why students fail in test situations. We all want kids to develop growth mindset and believe that they can improve, so telling them that they are poor test takers, might make them develop even stronger anxiety about tests leading to self-fulfilling prophecy. Show your children some extra love in testing weeks - we make a point of making Smarty's favorite dinners and sending a small chocolate as a surprise dessert. Express faith in your children's ability to focus and show their best work and remind them again that effort matters more than grades and that there is always "next time" when it comes to testing. Yes, whether we want it or not, testing will not disappear entirely, and it would be good for our kids to learn to accept and maybe even start to enjoy them... at least a tiny little bit. What are your sorts of testing and why the testing debate got so emotional? You've got some good tips in there. I wonder if it's the parents or the teachers who are making the stakes so high, or maybe just the whole thing. I know over here in Texas it's a BIG deal, and teachers spend a lot of time teaching HOW to take the test, and then on the days of the test they have to have their classroom walls completely covered so they are not giving away any answers. One thing schools are good at is giving lots and lots of tests. 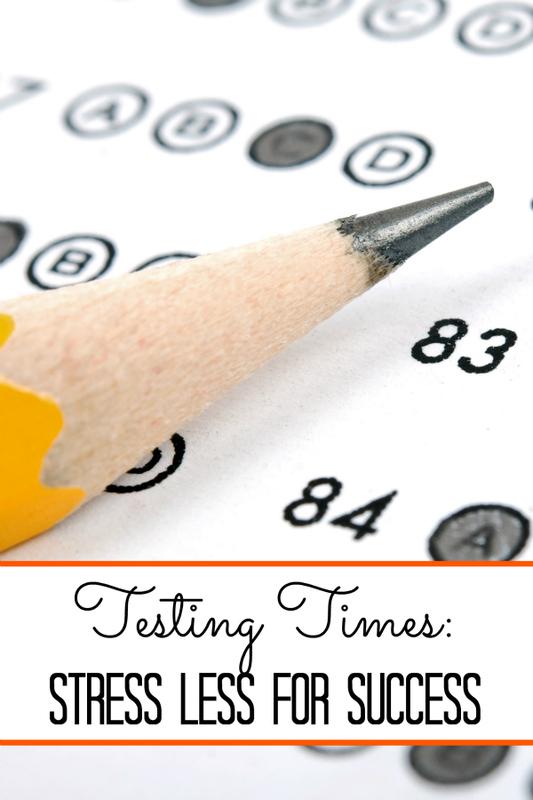 Eventually, I became a good test taker by figuring out patterns in the tests and knowing what to look for. Sometime you can score well without even reading the entire passage. Personally, I prefer if schools focused on learning first and taking tests second. While taking tests is a skill in itself, it does not always demonstrate learning (especially in multiple choice questions). It tests well on taking tests though IMHO. When I taught in Texas we we were threatened with not only with firing if we broke test protocol, but with having our certification pulled. It was an unspoken known that teachers who had low pass rates wouldn't be rehired. On the other hand, once you were able to get your pass rate up, you could do as you pleased. I think the situation is being driven by politicians. I agree with the comment of calming down. Kids don't need stress just before a test. I really work on that with my girls. Wonderful all the way around. Excellent advice here - pinning. in order to success on test you have to reduce stress, because calm people more often make right choices due to the fact that your brain is not in mess.